Despite the much-repeated advice from the iconic 1972 film that business decisions arent personal, the opposite should be true for financial advisors, Bob Seawright says. 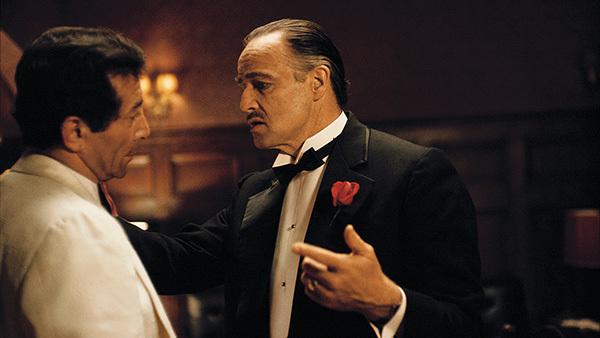 Several of the many famous lines from Francis Ford Coppola’s iconic film “The Godfather” relate to the idea that business needs often demand ugly personal actions. This concept is actually attributed to Otto Berman, an accountant for organized crime figures nearly a century ago who was killed during an attempted hit by Lucky Luciano on Dutch Schultz. Whatever else anything is, it ought to begin by being personal. And so it should, especially when it comes to financial advice. Truly personal advice meets clients where they actually are rather than where they say they are, where we assume them to be, where some hypothetical clients in that situation might be, or where business demands might otherwise wish them to be. For example, research discloses that clients are frequently more risk-averse than they say or than our (often cursory) risk tolerance questionnaires and models reveal. Perhaps worse, risk tolerance isn’t stable over time; it tends to change when things get rocky. Every advisor with even a modicum of experience has had clients with portfolios with which they were very satisfied and which were appropriately aggressive, provided sufficient liquidity and demonstrated adequate diversification — but only until they weren’t anymore. Truly personal advice will try to weigh what is said, what is meant, and how those things may change over time in providing financial services. That’s an impossible task, of course, but one which needs to be attempted anyway and routinely revisited. Considering a broader scenario may make things clearer. As I have noted many times, most recently just last month, retirees should use guaranteed income vehicles much more often than they do. As the great Peter Bernstein made clear, when the R-squared of a portfolio is less than 1.00, the key and controlling factor is the consequence of being wrong. Thus the potential of being destitute and vulnerable at the worst possible time should control the retirement planning process. “Best practice” demands we advocate for more guaranteed income solutions. And so we should. But it’s also clear that most clients won’t go for it. They generally prefer near-term control and opportunity to a longer-term guarantee that they won’t outlive their money. Instead, by far the most popular retirement income model calls for systematic withdrawals from portfolios, the most famous expression of which is the controversial “4% rule,” which sets that figure, adjusted for inflation, as what is alleged to be a “safe” annual withdrawal rate. The idea that 4% annual retirement withdrawals, adjusted for inflation, are anything like “safe” is obviously false, of course, even if and when retirees manage themselves, their investments and their spending well (which is hardly a sure thing). Then again, failure rates are never likely to be very high if historical trends continue to hold. Truth be told, for the vast majority of retirees over the vast majority of retirement lifetimes, a systematic withdrawal approach with a modest withdrawal percentage of no more than 4% will work and often work spectacularly, leaving portfolio values at death well in excess of what they were at retirement. So what is the appropriate balance in the giving of retirement advice? Back in April I emphasized the value of including family in the financial decision-making process. Yet research discloses that one spouse (most often female) often feels left out of it. Moreover, advisors rarely encourage clients to involve any adult children in the process because they can become additional hurdles that need to be overcome in order to make a sale. A really good advisor whose clients reject a really good guaranteed income solution will broaden the scope of the discussion and involve other family members. Since wives are, on average, younger than their husbands and have longer life expectancies to boot, they will often bear the brunt of the financial mistakes made in retirement planning. Making sure a “quiet” spouse’s needs and concerns are heard and respected is the right thing to do for its own sake and can also motivate the activist spouse to make better decisions. So can adding children to the equation since, most often, they will ultimately be left with parental care if the money runs out. Terror at the prospect of being broke and reliant upon the kids can change one’s outlook in a hurry. On the other hand, kids are also the most likely beneficiaries of good retirement outcomes. After an open and frank (personal!) discussion with the entire immediate family, the family can make a joint and informed decision as to how to allocate prospective risks and rewards. Therefore, while irresponsible children suggest the need for greater guaranteed income, trusted and competent children might appropriately choose to bear the relatively minor risk of portfolio failure where the retirement plan calls for systematic withdrawals of 4% or less in order to gain the prospect of the much more likely outcome of substantial portfolio growth and legacy. Despite the supposed lessons of “The Godfather,” making things truly personal is very good business for financial advisors. That’s an offer no advisor should refuse.